- An Coung - The US and VC battle for control of a small hamlet along a river in South Vietnam. - Cholon, 1969 - Revisit the Cholon district during the Mini-Tet offensive of 1969. - Hill 881N - The US must fight their way up a heavily cratered hill in posession of the Vietcong. - Twilight Valley - The US and VC fight in the murky light of twilight in the Iron Trigangle. - Valley Battle - The US and VC wage a pitched battle at night in a steep river valley. Unzip this archive into your Men of Valor directory (ie. 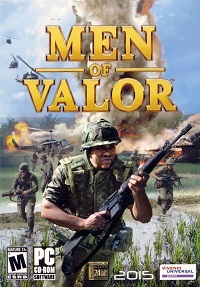 C:\Program Files\2015\Men of Valor\...). If prompted to overwrite any files, press Yes. In addition to the new files required to play these maps online, the archive will update the XMapList.int and XMaps.int file in the \VIETNAM\SYSTEM directory. These files are only required to run a server, and will not prevent anyone in posession of this pack from playing on a server that does not have this pack installed.